For the latter half of April, I’m doing back-to-back conventions (wheeee!) Check out my schedule for both below. And, as always, if you are an author/agent looking to have a meeting, please contact me. Click to view convention website. Description: A discussion over what to include in your query letter and how to approaching publishers and agents as a newer author in general. Description: Get practice on those first crucial moments with an agent or editor. No stakes, just honest feedback. Description: So people have read your work and told you what they thought. Now what? Description: Prophecy, Thematic Hints, Ominous Portents, and everything in between. Come here some great ways and reasons to Foreshadow. Cincinnati, OH, April 24 – 26th. Click to view website. Description: Join us in an upfront and forward-thinking conversation lead by Ay-leen the Peacemaker (Diana M. Pho) on how to create safer spaces in fandom against harassment, with a particular focus on sexual harassment awareness, reporting, and prevention tactics. All genders and orientations are encouraged to attend. Description: Discussion of the craft of writing with Emilie P Bush & Ay-leen the Peacemaker (Diana M. Pho). Description: How does multicultural steampunk look Beyond Victoriana? 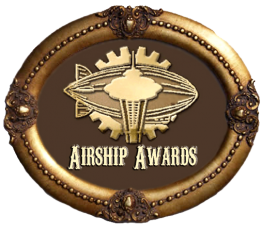 Updated & expanded since its previous presentation at the Steampunk Symposium.